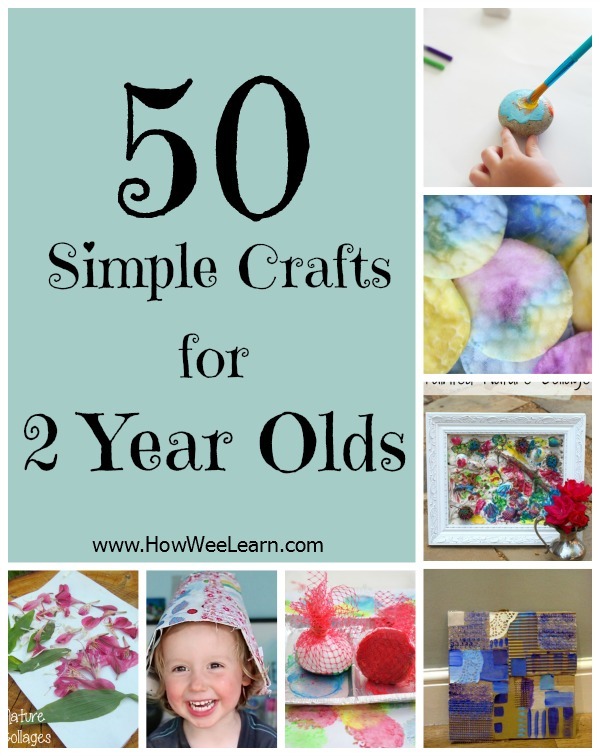 50 PERFECT Crafts for 2 Year Olds! The other morning I broke out the paints for my Sam and Madeline. Benjamin, who is 21 months decided he was no longer happy to paint with water and instead (suggested calmly) that he also use some paint. 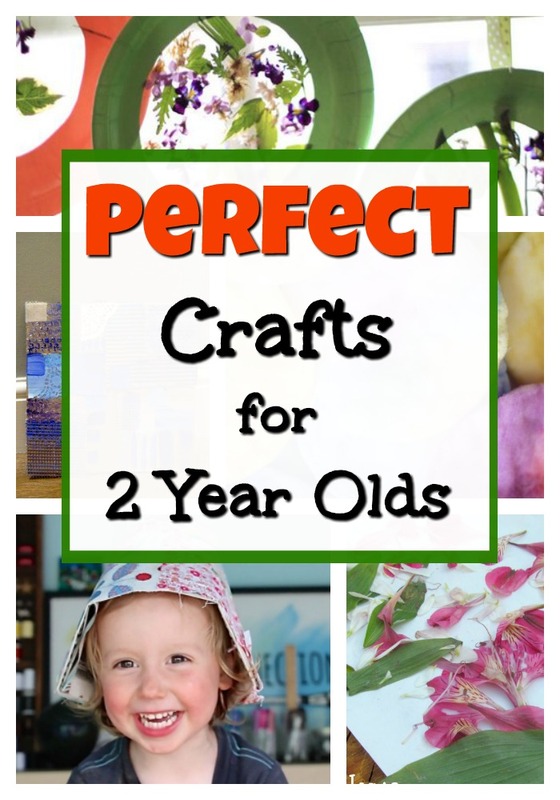 This got me thinking of crafts for 2 year olds! While I cannot believe that my baby will be 2 in the Fall, I am very excited for all of the crafts for toddlers heading our way! 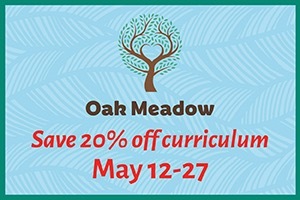 Since you are most certainly here because you know or have a 2 year old, be sure to check out my book! 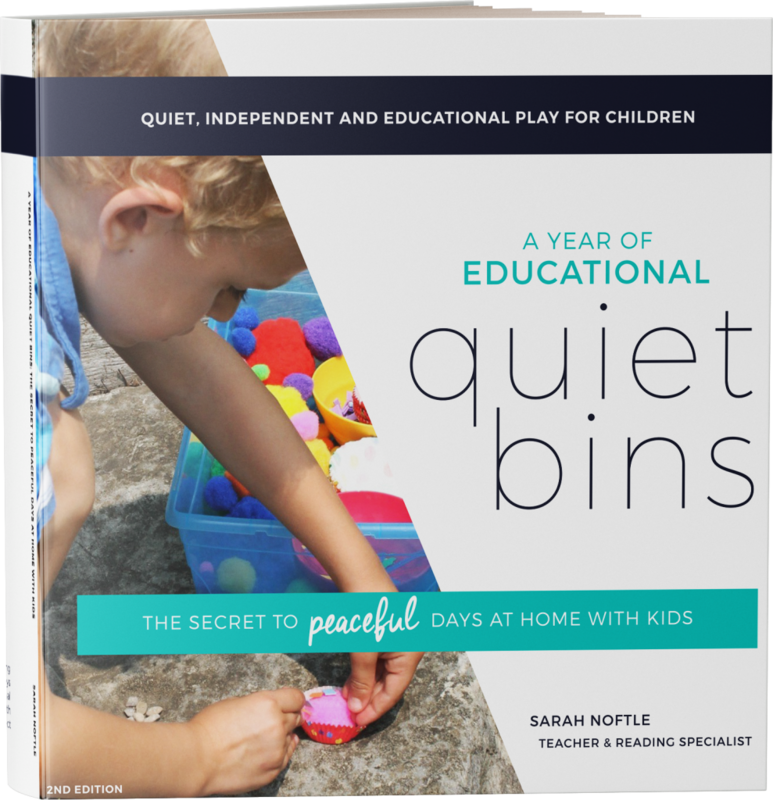 Get ready to learn the life changing art of using and making Quiet Bins! You will LOVE my eBook – the reviews are glowing! 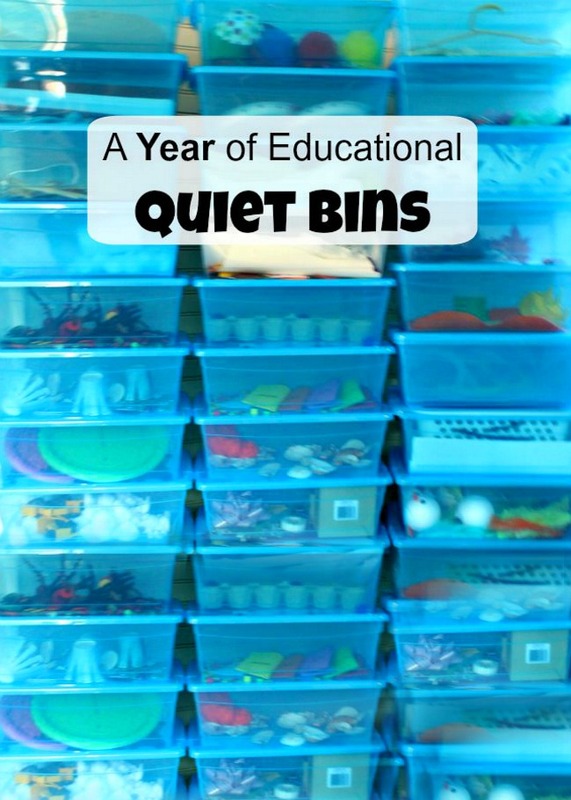 It is full of an entire year’s worth of educational quiet bin ideas. 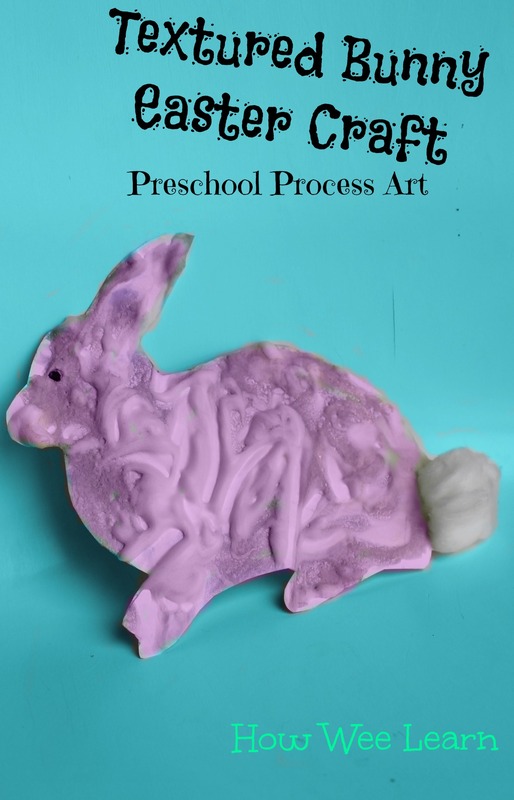 I decided to make a resource of 50 crafts for 2 year olds. All of these crafts are actually for 2 year olds to make. Each craft focuses on the process of the activity. 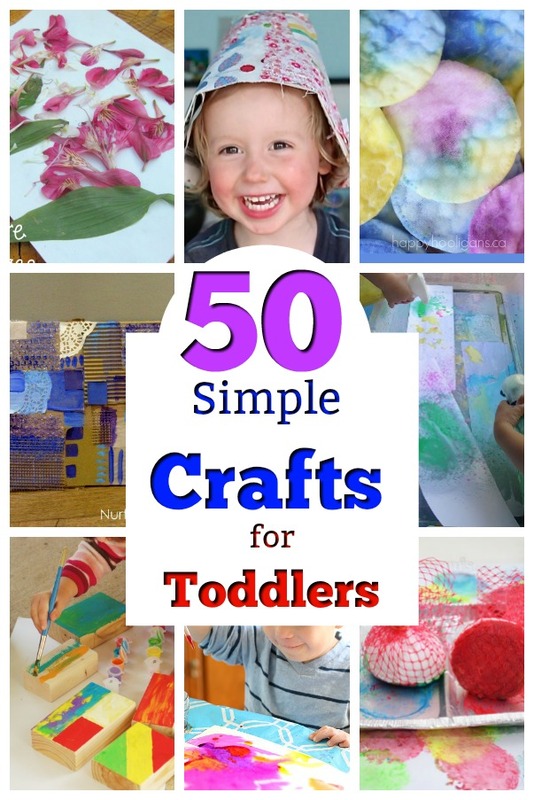 50 Crafts for 2 Year Olds. Textured bunny. We created this fun bunny at Easter time using two common household ingredients. 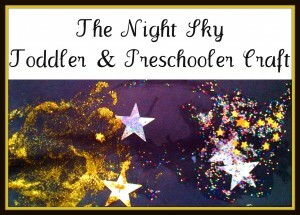 It is a wonderful sensory filled craft perfect for a 2 year old. Paper Cup Flowers. 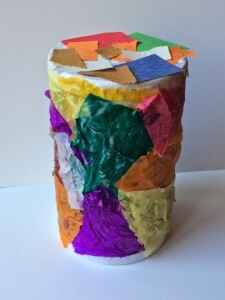 Using a marble and some paper cups this craft is unique and fun for even the littlest of artists! 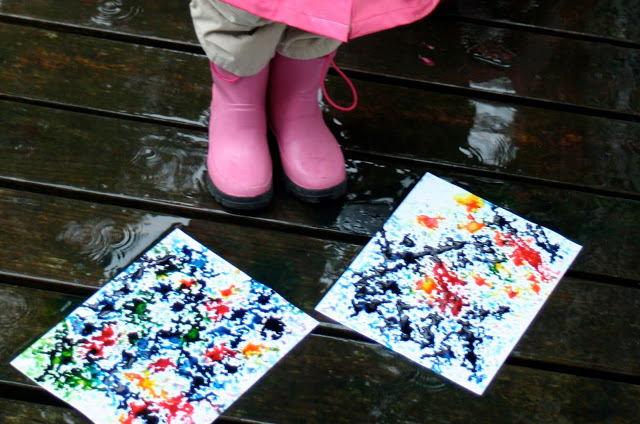 Painting in the Rain by Little Page Turners. Exploring a craft like this is a wonderful way for little ones to learn so many things! 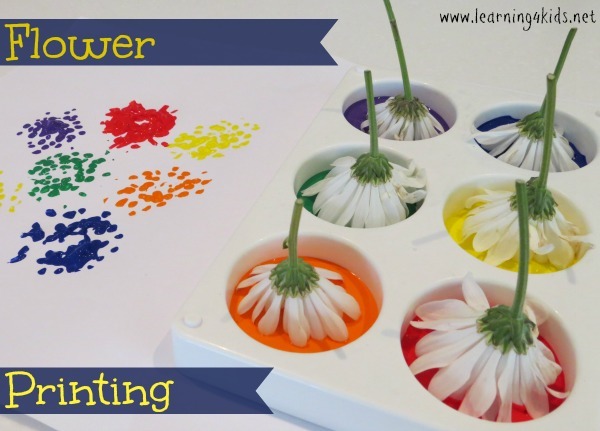 Flower Printing by Learning 4 Kids. 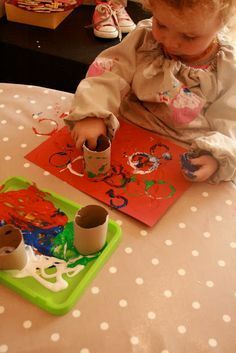 Painting in many different ways is a great idea for 2 year olds. Although 2 year olds may not understand flower imprints, they could still paint with flowers for a wonderful experience. 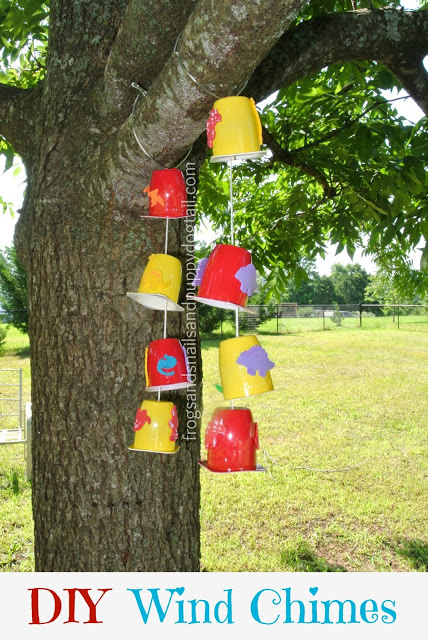 Yogurt cup wind chimes by Frogs and Snails and Puppy Dog Tails. A fun way to learn about re-using and recycling! Fly Swatter colour mixing via House of Burke. As far as crafts for 2 year olds go it would be hard to find one more engaging then this! Paper Plate Sun by Buggy and Buddy. Threading onto pipecleaners is a wonderful craft idea for 2 year olds! 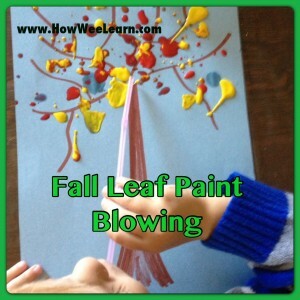 Paint Blowing: Fall Trees. Once little ones understand how to blow out of a straw this craft is a fun way to learn about the power of air! 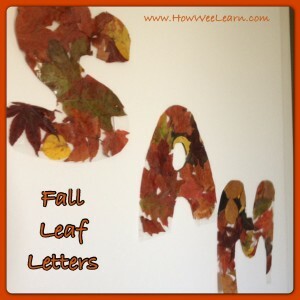 Fall Leaf Letters. 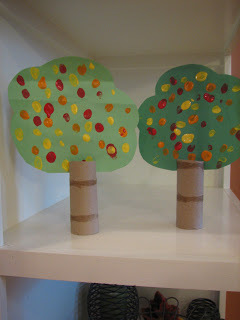 Collecting and sticking fall leaves is another great craft for two year olds. And it can be proudly displayed in a little ones room! Shaving Cream Jack-o-lantern. Another sensory filled craft perfect for the Fall. 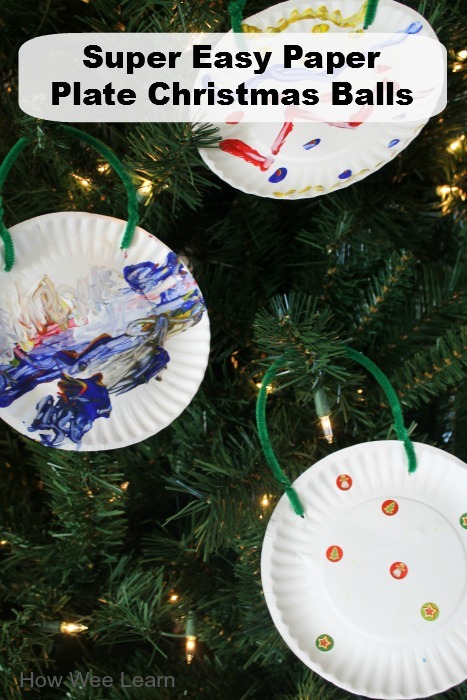 Paper Plate Christmas Balls. 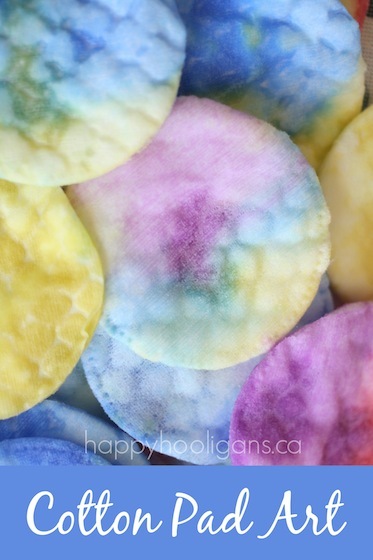 Crafts like this one are so open ended and always a favourite with toddlers. Nice and simple! Snow Colouring. Getting outside and enjoying the snow in a craft! Night Sky Craft by My Nearest and Dearest. 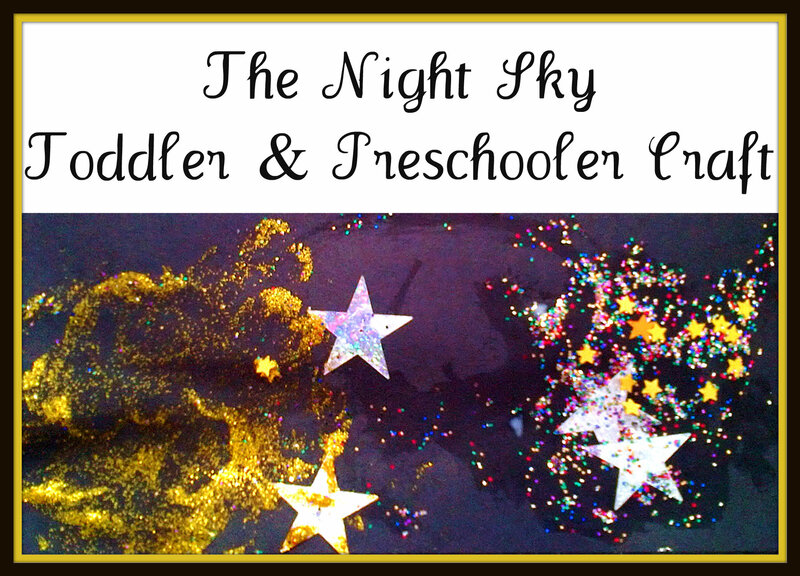 In the winter my little ones are always amazed when they first see the stars – this is a wonderful open-ended craft for 2 year olds to create their own night sky. Nature Collage by Where Imagination Grows. 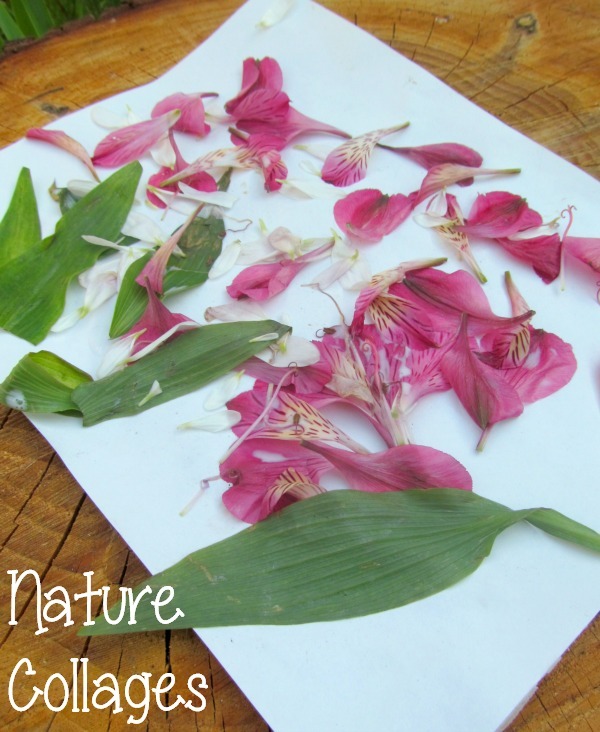 Exploring and creating with nature is always my go-to craft for two year olds. 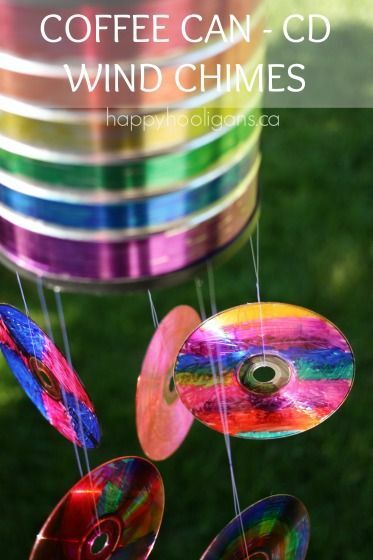 Especially crafts that can be done outside. 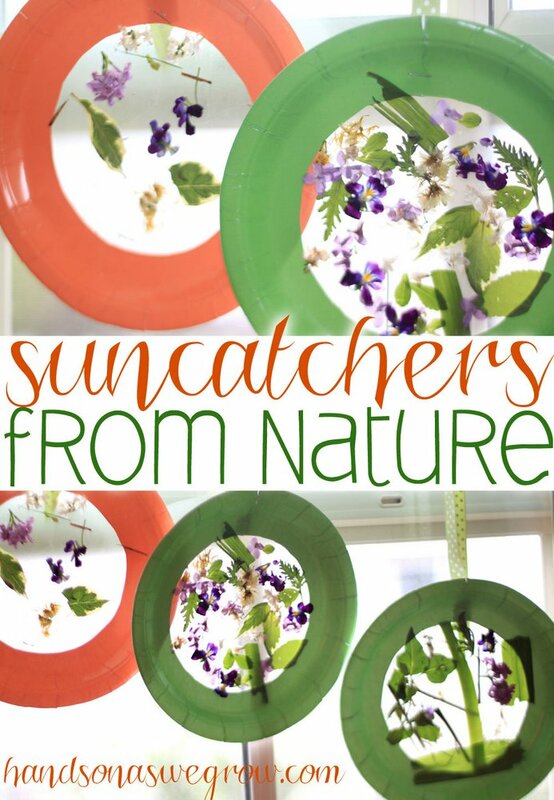 Sun catcher Nature Craft by Hands on as we Grow. This is such a simple way to create with nature – and proudly display found treasures too! Painted Nature Collage by Two-Daloo. What a beautiful process and gorgeous outcome! Beautiful in a frame too! Even More Crafts for 2 Year Olds! Print Making. 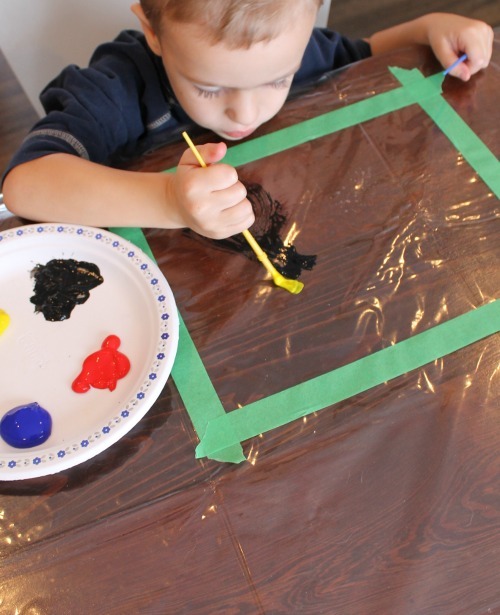 This craft for 2 year olds is a wonderful way to learn about mirror images. It can be done with finger painting, or for little ones who prefer a little less mess, a brush. Clothespin Crown. 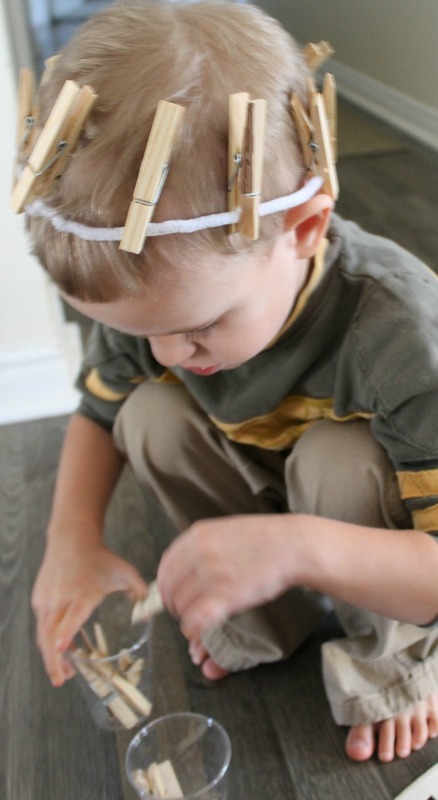 Pipe cleaners and clothespins can be made into so many things by toddlers – like this nifty crown. 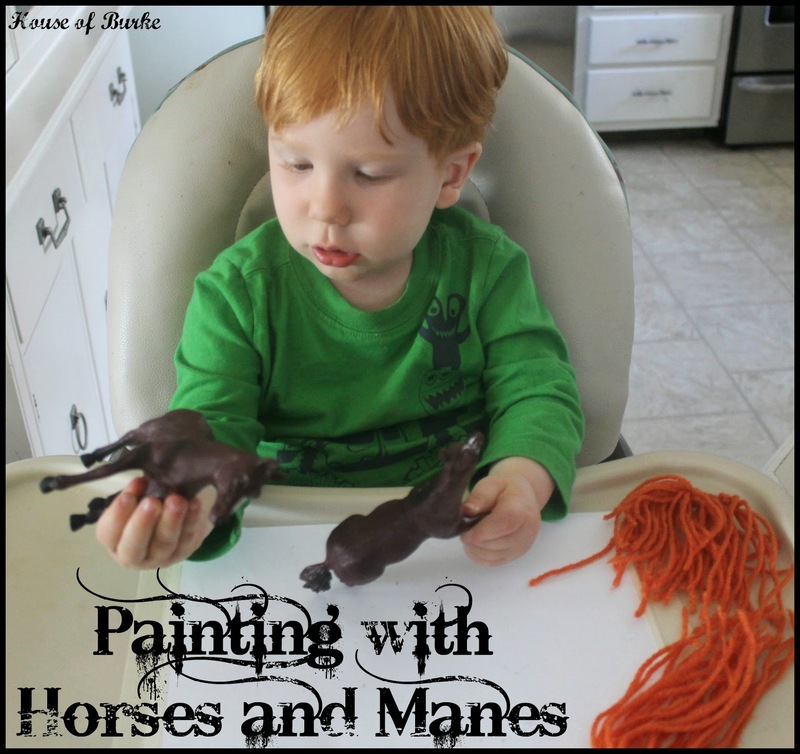 Painting with Horses and Manes by House of Burke. 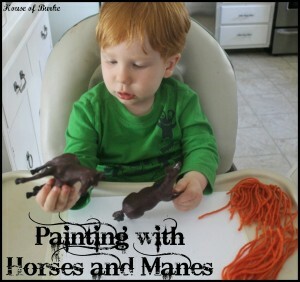 A fun activity for any little horse lover! 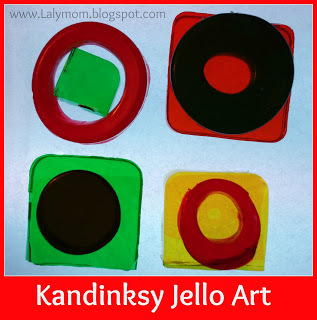 Kandinsky Jello Art by Lalymom. 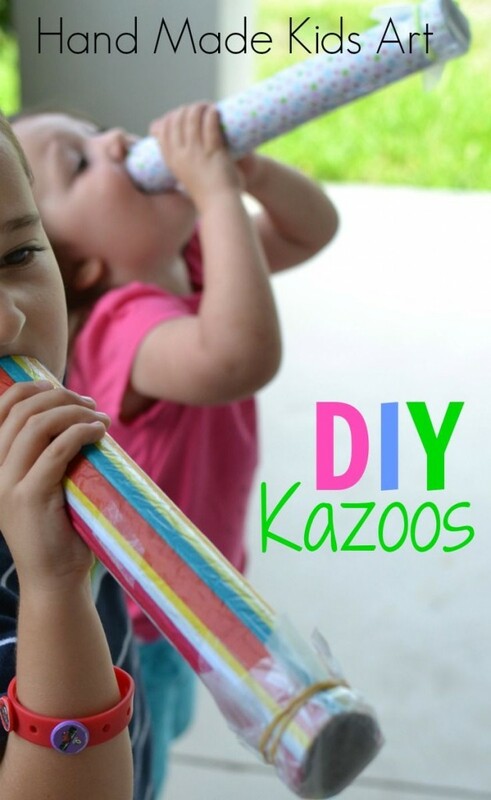 A great craft idea for young 2 year olds since it is safe to taste! Foil Painting by Frogs and Snails and Puppy Dog Tails. Painting on different surfaces is such a neat experience for 2 year olds. 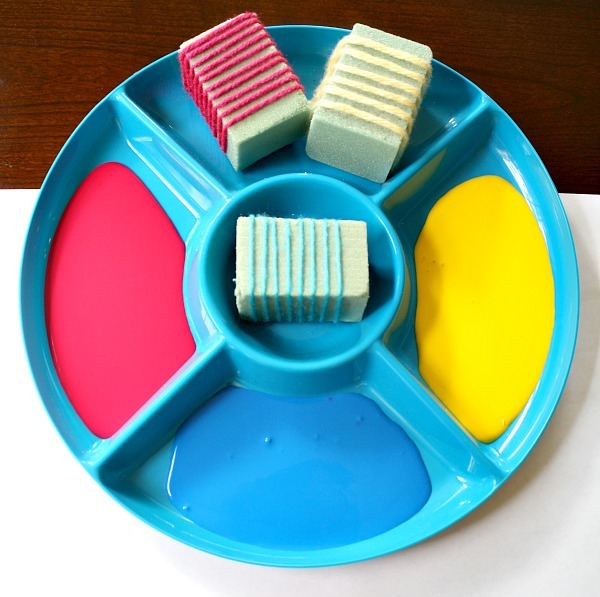 Painting Wooden Blocks by Kids Activities Blog. 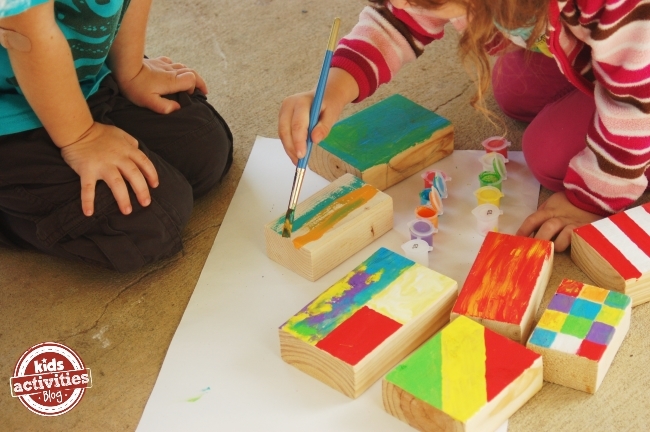 I love this idea of letting 2 year olds paint on wood to use as blocks. 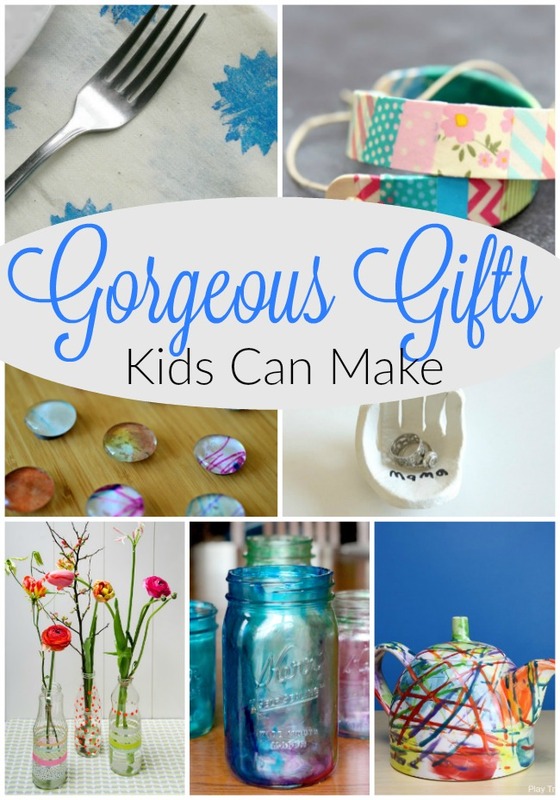 This would alos make a lovely child made gift for a friend or sibling! Painting on Texture by Nurturestore. This craft for 2 year olds is full of learning, super simple, and a wonderful chance to develop language! Yarn Stamping by Fantastic Fun and Learning. Crafts for 2 year olds are ideal when they are as open ended as possible. 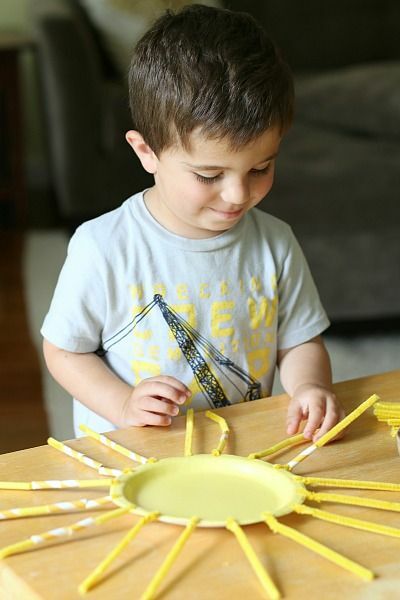 This simple craft has endless possibilities for creating and play! 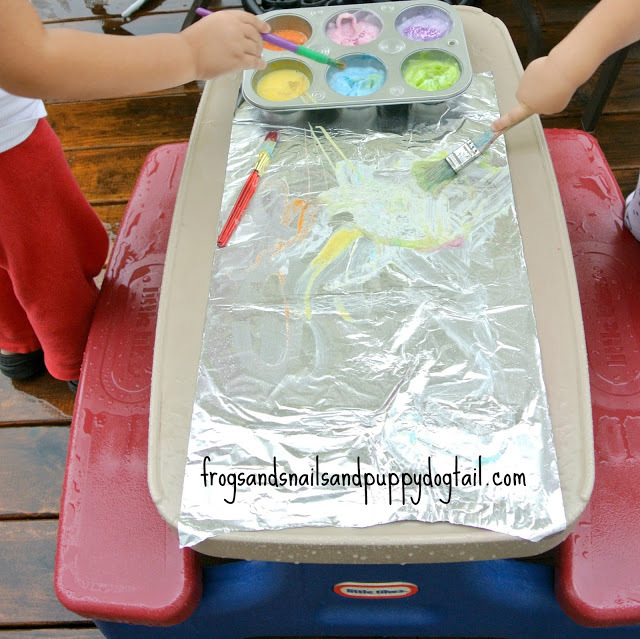 These inexpensive trays work well for play invitations like this. 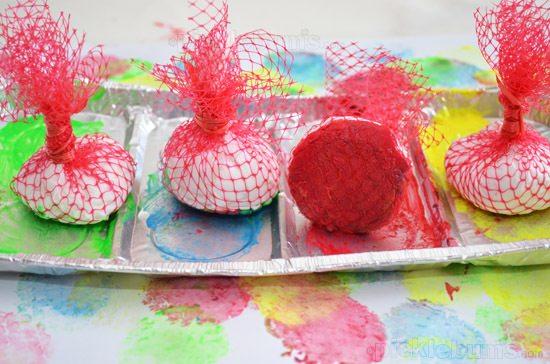 Finger sponge painting by De tout et de rien. 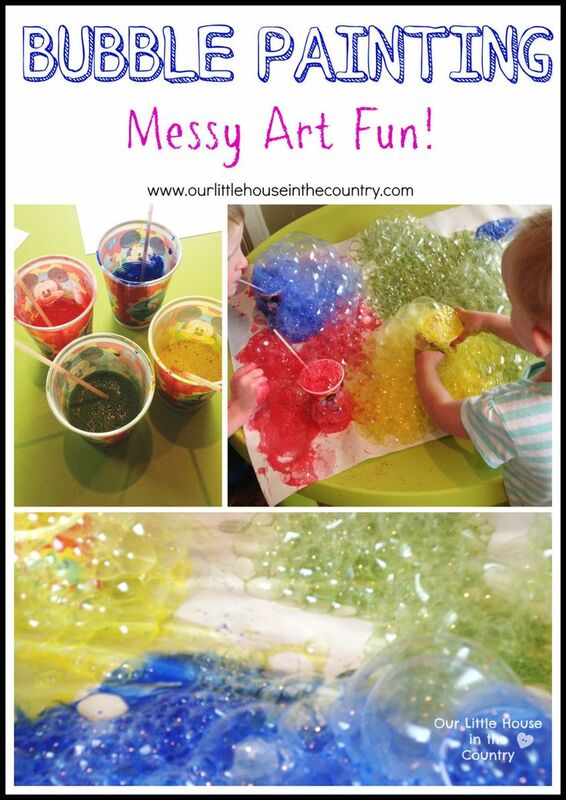 This activity is ideal for 2 year olds who may not like getting messy or the idea of finger painting. This is a gentle activity to encourage little ones just outside of their comfort zone. Painting with Droppers by Buggy and Buddy. 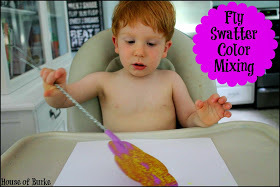 This is a lovely introduction to water colours and droppers for 2 year olds! Fancy Decorated Paper Hats by Crafting Connections. 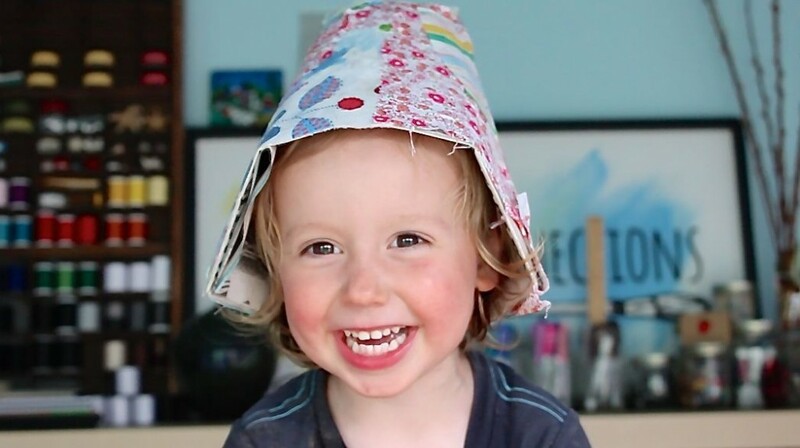 No list on crafts for 2 year olds would be complete without a paper hat craft! I love how simple this one is and how little ones could truly create it themselves. 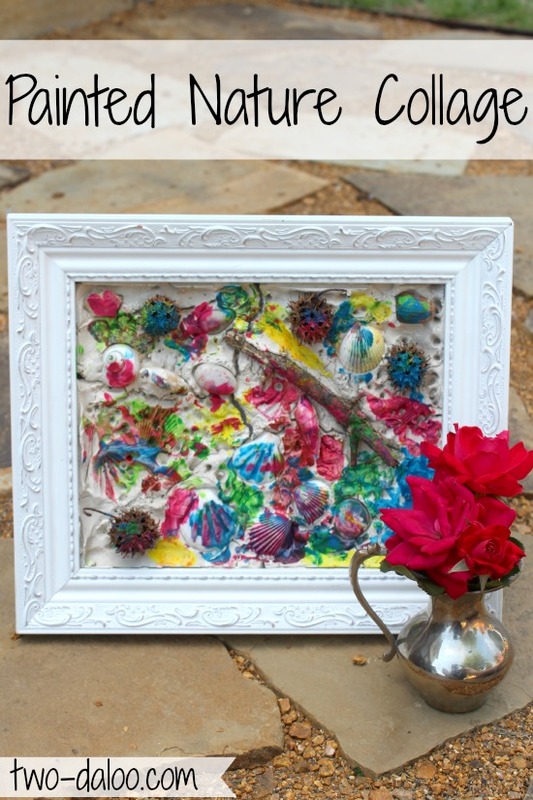 Rubberband Splat Painting by Glued to my Crafts Blog. 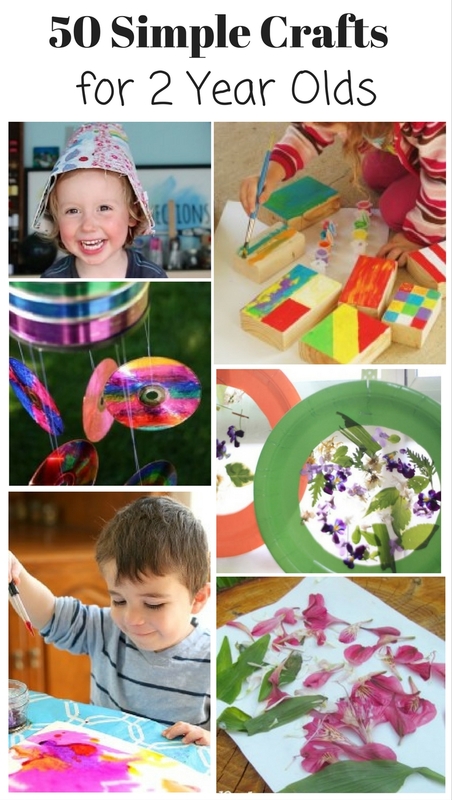 Crafts for 2 year olds should be loads of fun – and this one certainly fits the bill! Mesh Dabber Painting by Picklebums. 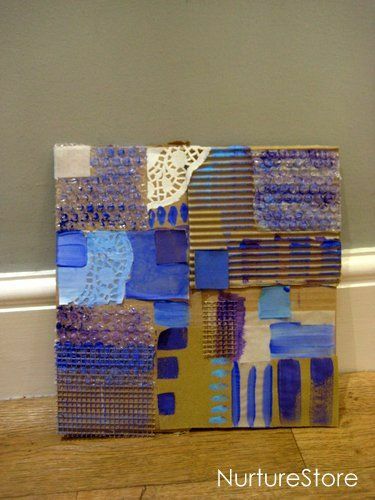 This is a lovely way to explore prints with 2 year olds. 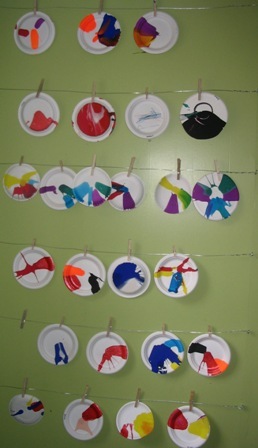 Spin Art by The Artful Parent. 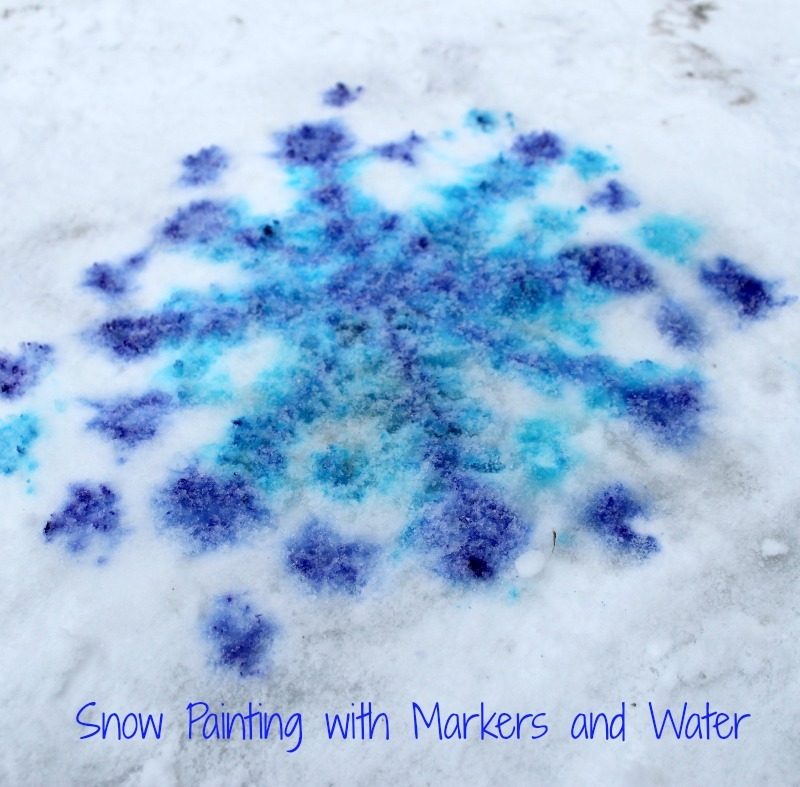 A fun way to explore science and art together for toddlers. Cotton Pad Art by Happy Hooligans. A fun craft full of learning – and a neat sensory activity as well. 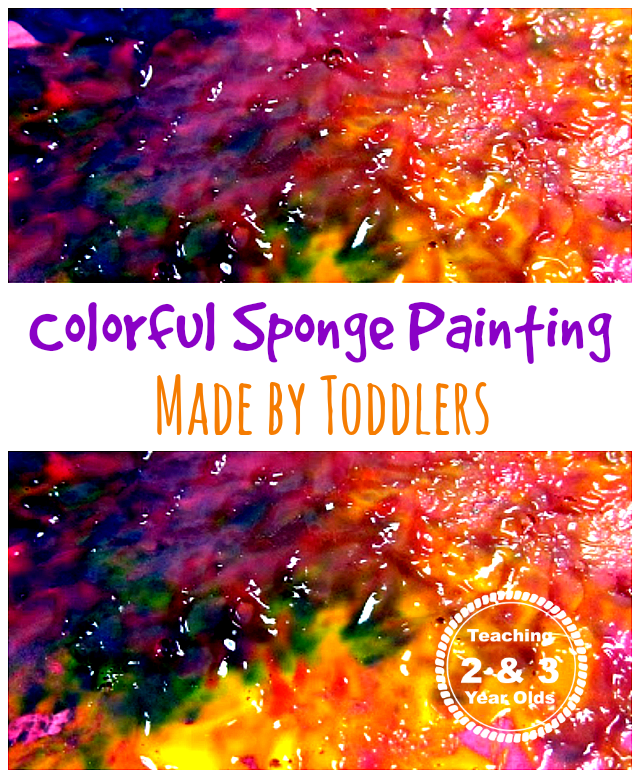 Colourful Sponge Painting by Teaching 2 and 3 year olds. There is so much to be learned with sponges and paint. Simple crafts are so often the best! Toilet Paper Trees by Ramblings of a Crazy Woman. This simple craft would provide a lovely base for so many small world play ideas! 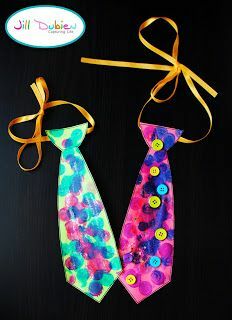 Simple tie craft by Meet the Dubiens. 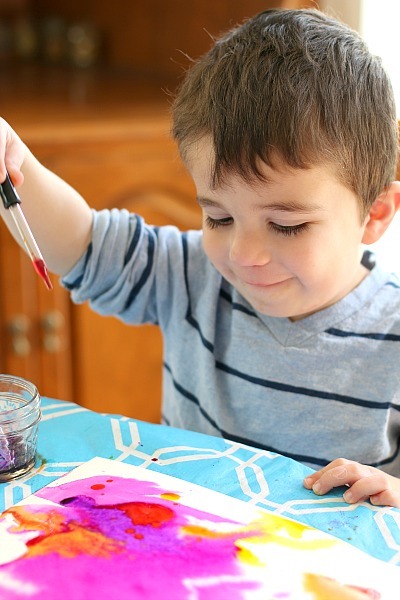 Crafts for 2 year olds are fantastic when little ones can create them all on their own. 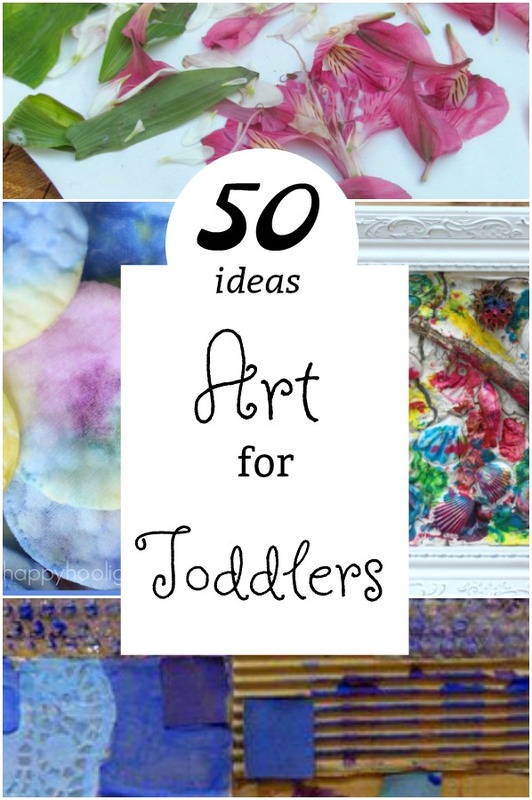 While this looks super simple, it is ideal for toddlers! Cardboard Tube Painting by The Imagination Tree. Such a great way to learn about stamping. 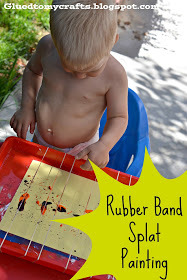 This craft is perfect for a little 2 year old hand! Chalk Spray Painting by Teaching 2 and 3 year olds. Working a spray bottle is a little bit tricky for a 2 year old – but a wonderful skill and a great way to strengthen little hands. 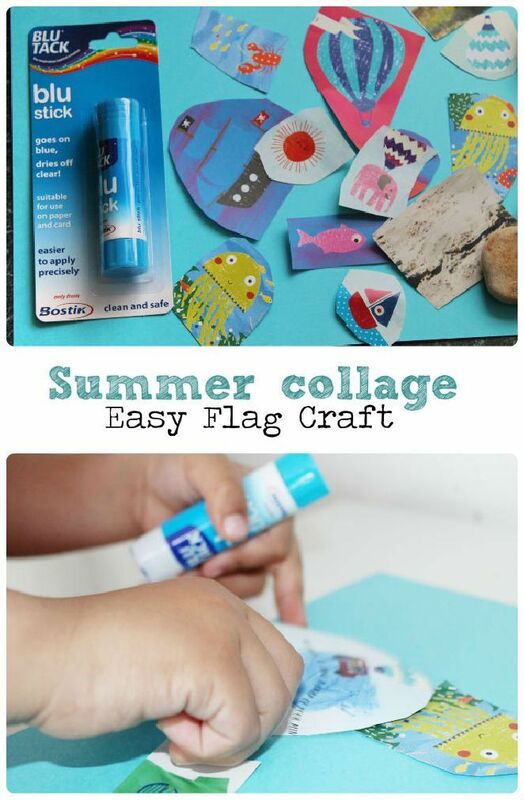 Simple Flag Collage by In the Playroom. Making collages are great crafts for 2 year olds. They can practice cutting or tearing pictures and gluing them onto paper. Bubble Painting Messy Art by Our Little House in the Country. Make sure little understand the concept of blowing out before trying this activity! 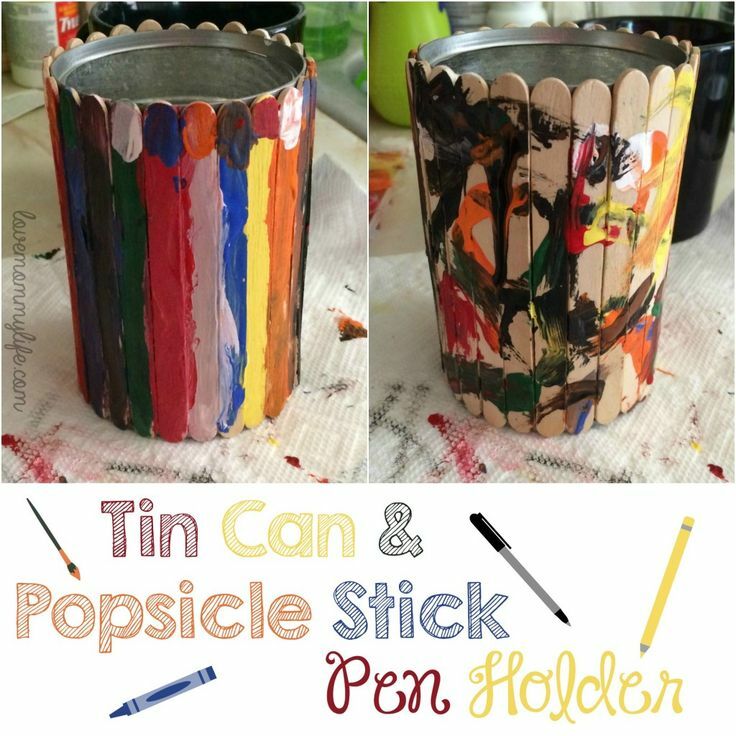 Tin Can Popsicle Stick Pencil Holder by Life as a Mommy. 2 year olds can paint popsicle sticks to create this lovely child made gift! Plant some herbs inside, or a bean plant, and you have a lovely present! Coffee Can Windchimes by Happy Hooligans. A lovely creative process that 2 year olds can proudly display in a backyard tree. Homemade Kazoo by Handmade Kids Art. 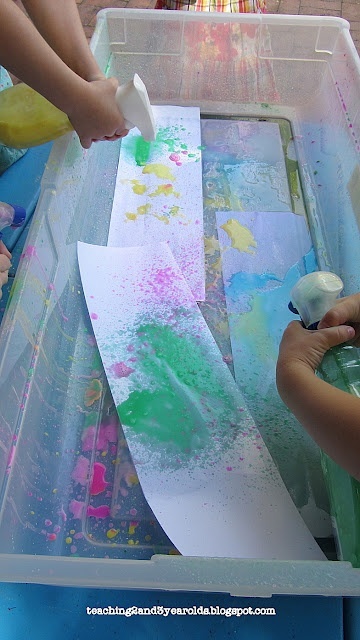 Painting a cylinder is a wonderful learning filled craft for toddlers, and a fun musical instrument at the end! Glitter and Sparkle Sun Catchers by FSPDT at Sugar Aunts. 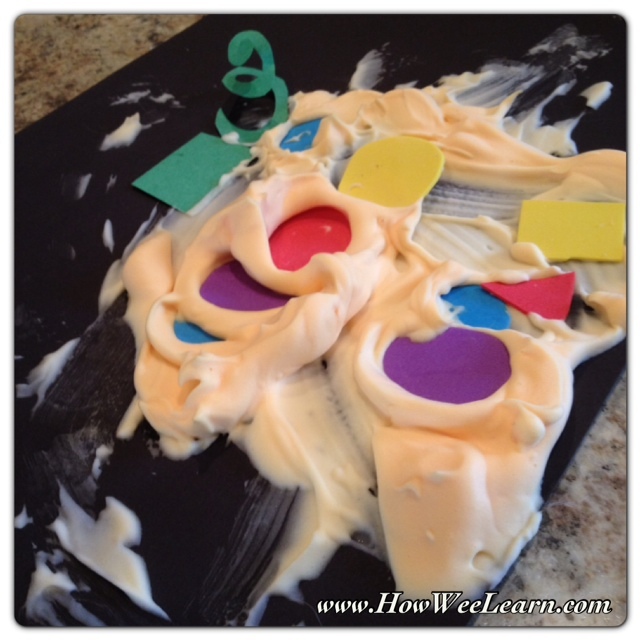 A sticky, fun filled sensory craft for 2 year olds! Musical Art Shaker Craft by Mini Monets and Mommies. A collage out of construction paper makes for a gorgeous craft! And a toy afterward to boot! 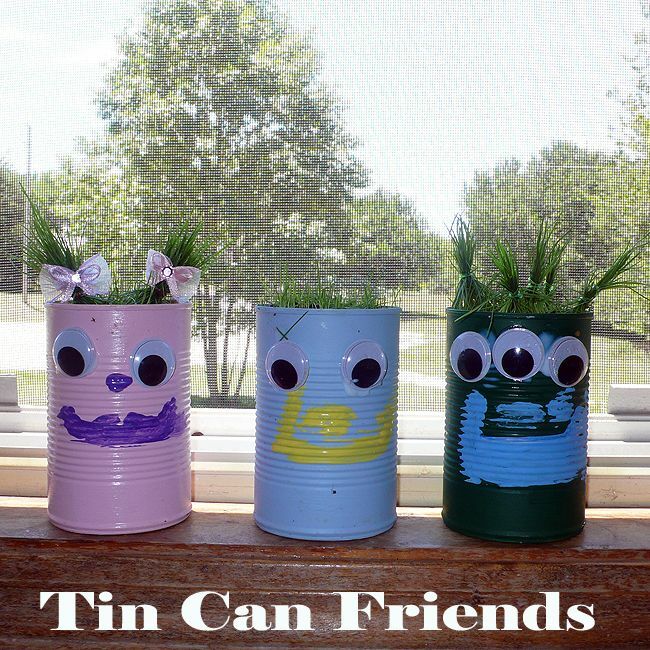 Tin Can Friends by We Made That. 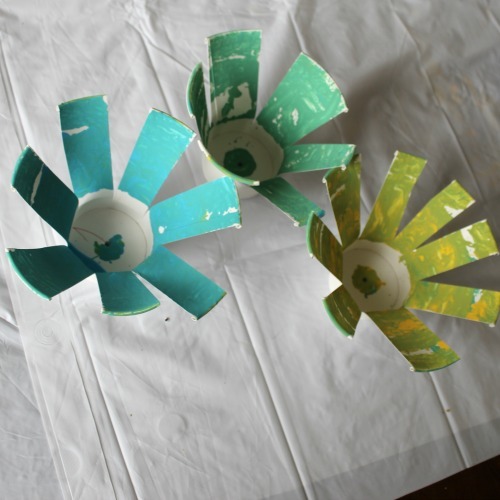 Painting a tin can is such a fun craft for 2 year olds. Add on some googly eyes and it becomes a little character! Introducing 2 year olds to art is such a fun thing. I am very excited to do so many of these activities with my soon to be 2 year old! And these crafts can be modified for any age – so my older two will also be crafting up a storm. 50 Awesome ways to learn numbers for BUSY kids! Oh great Christina! I am so happy you found a few ideas just right for you and your little girl. Thank you for taking the time to let me know! 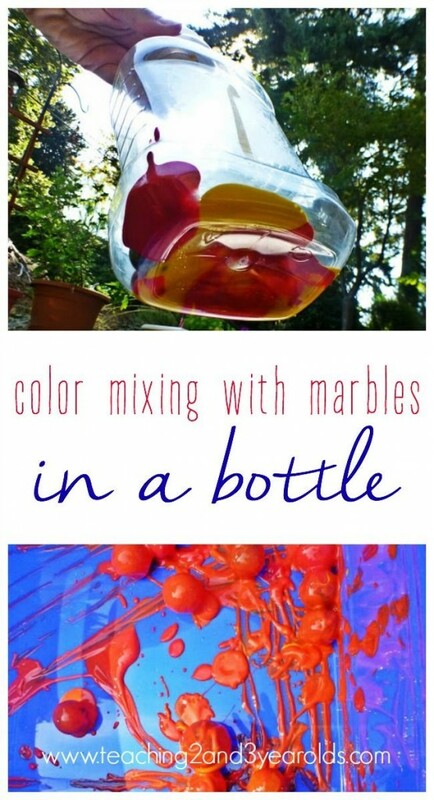 These ideas look like so much fun, my daughter will absolutely love these projects, thank you for sharing with us.